Crime and Punishment in Russia surveys the evolution of criminal justice in Russia during a span of more than 300 years, from the early modern era to the present day. Maps, organizational charts, a list of important dates, and a glossary help the reader to navigate key institutional, legal, political, and cultural developments in this evolution. The book approaches Russia both on its own terms and in light of changes in Europe and the wider West, to which Russia's rulers and educated elites continuously looked for legal models and inspiration. It examines the weak advancement of the rule of the law over the period and analyzes the contrasts and seeming contradictions of a society in which capital punishment was sharply restricted in the mid-1700s, while penal and administrative exile remained heavily applied until 1917 and even beyond. 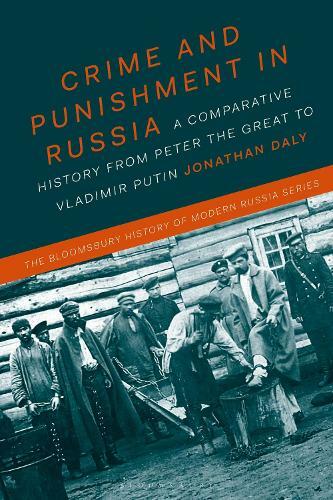 Daly also provides concise political, social, and economic contextual detail, showing how the story of crime and punishment fits into the broader narrative of modern Russian history. This is an important and useful book for all students of modern Russian history as well as of the history of crime and punishment in modern Europe.